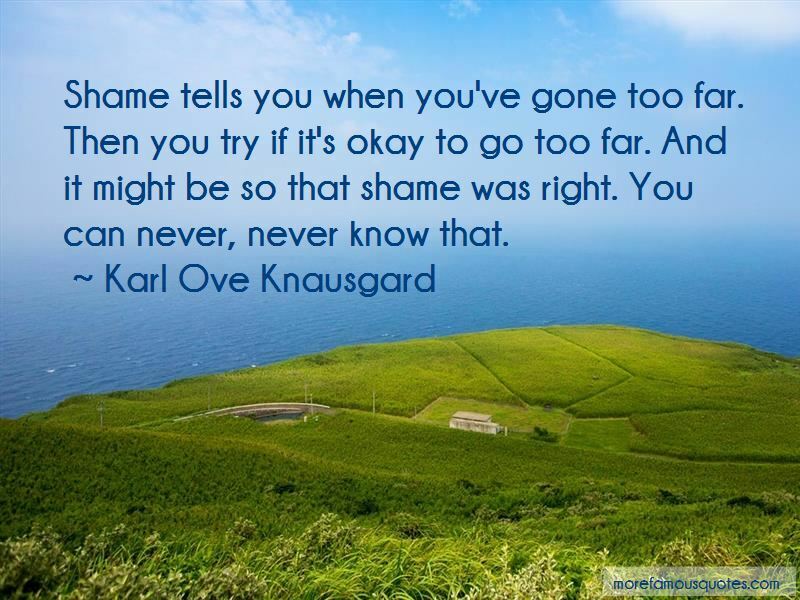 Enjoy the top 19 famous quotes, sayings and quotations by Karl Ove Knausgard. I'm not interested in the words or the meaning of the words. I'm interested in disappearing in it completely, to not be aware of yourself at all. That's the way music works for me. It's purely emotional. It goes straight to the heart. There are no explanations. That's just it. The strange thing about writing is that it's so easy to write a novel. It is really easy. But it's getting there to the point where it's easy that's hard. The hard part is to get there. 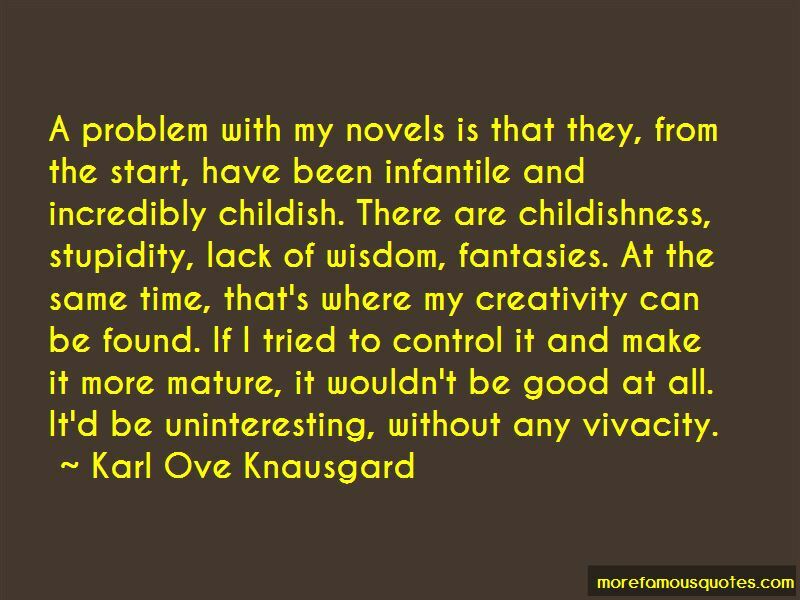 A problem with my novels is that they, from the start, have been infantile and incredibly childish. There are childishness, stupidity, lack of wisdom, fantasies. At the same time, that's where my creativity can be found. If I tried to control it and make it more mature, it wouldn't be good at all. It'd be uninteresting, without any vivacity. 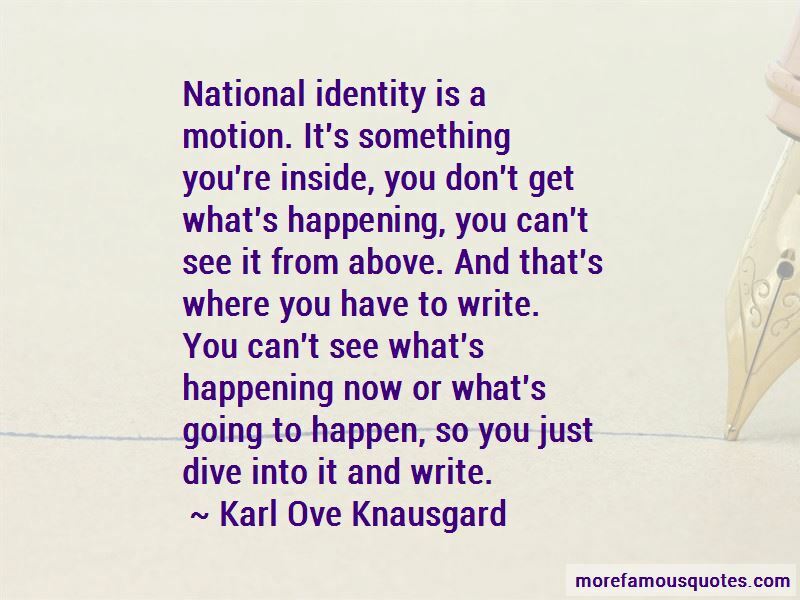 Want to see more pictures of Karl Ove Knausgard quotes? 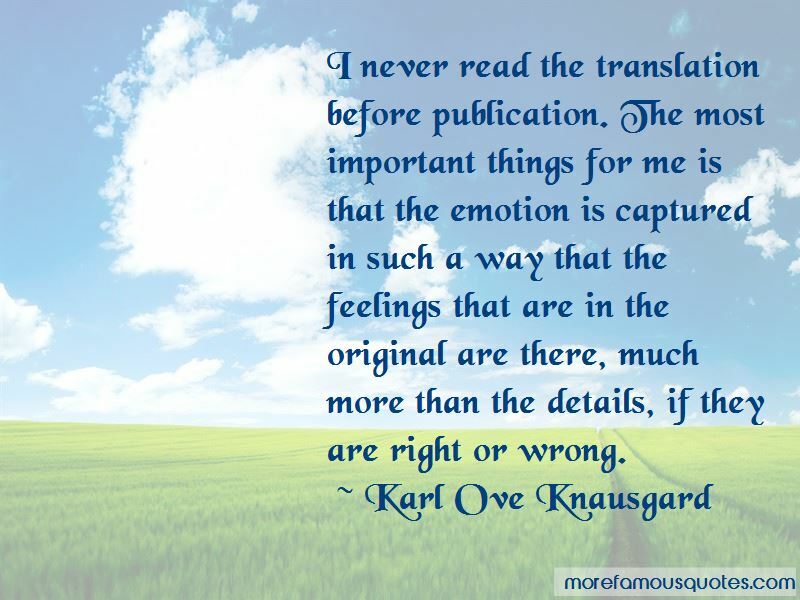 Click on image of Karl Ove Knausgard quotes to view full size.